You know those cold winter nights when it gets dark at 4:30pm and you don’t want to leave your house, but you also can’t go to sleep at 5pm? I have a cozy yoga practice for that. Get all bundled up in your comfiest clothes and get on your yoga mat for some cozy yoga. In fact, you don’t really even need a yoga mat for this practice. You could actually do this entire yoga practice on your bed. 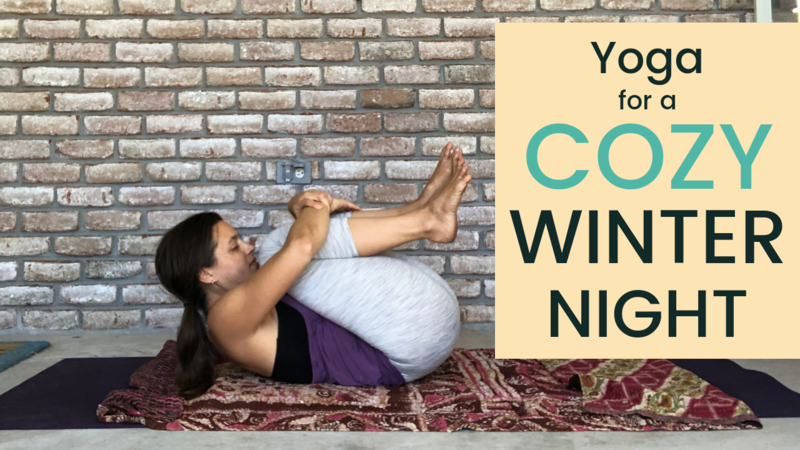 This is a perfect yoga practice for those bitter cold winter nights that you want to move your body but don’t want to go anywhere. 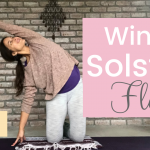 This cozy yoga practice is also really great for Christmas Eve or Christmas Day. If you’re feeling any tension or stress or just profound exhaustion, this class will give you all the support you need. Enjoy this sweet yoga practice when you need a little extra support and warmth in your life. Do You Want to be an Olaf or a Marshmallow?